The proponents of the DREAM Act have given a case study on how to blow-up a bipartisan alliance and make certain that their legislative goals are not met. Originally a bipartisan bill, The Development, Relief and Education for Alien Minors Act would give conditional green cards to undocumented immigrants if they graduate from high school and pursue a college education or military service. After a 10-year waiting period, they could obtain permanent residency if they met all the requirements, and they could eventually apply for citizenship. Sounds reasonable enough, except for the fact that some anti-immigration opponents think this bill veers too close to amnesty. When Orin Hatch agreed to co-sponsor the bill, it seemed fairly non-controversial. And then the bill’s supporters decided that they would take a fairly non-partisan bill and then make it as partisan as possible. They protested. They marched. They did sit-ins in offices. They jammed the cell-phone voice-mails of staffs. They emailed until members and staffs couldn’t read any other emails. And then Harry Reid took it up as a political weapon. Desperate to mobilize Hispanic voters in his home state, he pledged to stick it on unrelated legislation. He tried to jam it down the throats of his Republican colleagues, knowing that they had no choice but to say thanks but no thanks. This is really a perfect example of why bipartisanship often fails in Congress, especially on the issue of immigration. Certainly, some Republicans were going to oppose this legislation no matter what, but that didn’t mean that all Republicans would necessarily follow-suit. 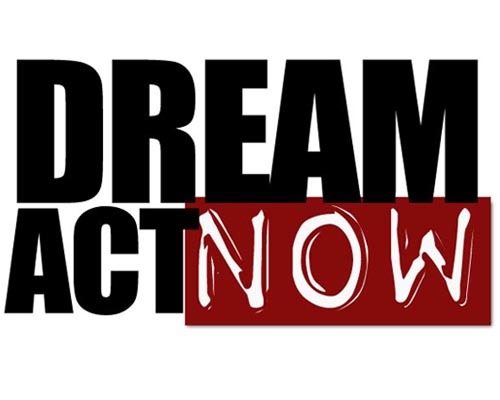 But the tactics of the DREAM Act supporters, both in the Congress and outside the Congress, made it inevitable that Republicans would have no choice to not only oppose it, but to kill it dead. There was probably some merit to the ideas that were contained in the DREAM Act. Otherwise, there is no way Orin Hatch would have initially supported it. But sometimes the worst enemies of a piece of legislation are its strongest supporters. This is one of those times.